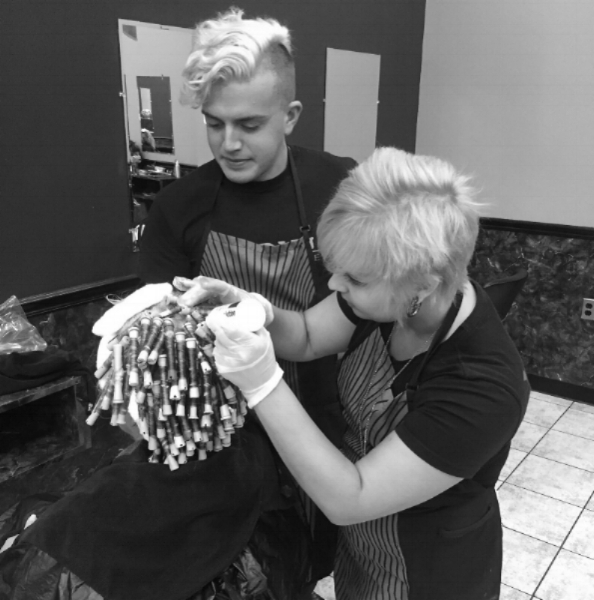 The Educational Objective of the Cosmetology Course at the Aston Campus is to provide a balanced program of instruction to those students interested in career preparation and personal development. The ever-changing demands of employers and the personal needs of the student body require Venus Beauty Academy to continue upgrading and adapting the programs of study. Successful completion of the 1250 hours Cosmetology Course will provide graduates with the basis for professional growth and employment in the many areas of the Cosmetology Field and a greater sense of community awareness and social responsibility. The Program is designed to provide a balance of instruction to the student interested in career preparation and development. Instruction in the skills required to render professional services and to pass the State Board Exam. The program will offer the student a thorough understanding of the scalp, hair, skin, and nail care a well as related services. It will provide students with practical performance, demonstrations, and practice in conjunction with the required text. To develop personality and practice human relations with clients and to practice self control and build professional ethics and standards and to develop an awareness of ever changing trends and advancing technology and the ability to adjust and grow. Interactive Lecture, Demonstration followed by Student Practice or Application, Evaluation or Assessment, Group Discussion, Videos, Field Trips, Guest Speakers, Peer Coaching, Projects, Role-Playing, Games, Competitions, and Timed Drills. Each student receives a set of books, Delaware State Laws, and course handouts. Instructors record the grade the students earn in each exercise, lesson drill, and subject exam. Students also take comprehensive exams at various intervals during their training. In addition to their workbook exercises, students are graded on other factors such as attendance, appearance, and attitude. Instructors periodically discuss the student’s progress with them. Haircuts 60; Color 25; Styling 100, Chemical 40, Treatments 5, Skin 5, Artificial Nails 8, Manicures/Pedicures 15, Reception 2. All students must complete a minimum of 350 hours of classroom instruction to become eligible to participate in the schools laboratory facility. All Practical/Laboratory work is performed on the Student Salon Floor is assigned by the instructor/teacher. All work is performed by students under the supervision of licensed instructors/teachers.